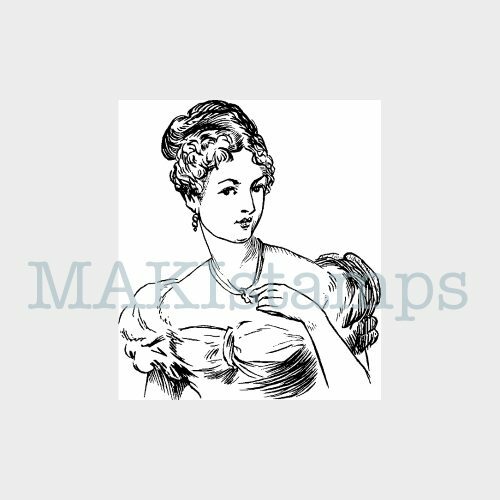 Unique Victorian lady bust rubber stamp. This beautifully detailed Victorian style rubber stamp is made of high quality, deeply etched red rubber and measures approx. 4,0 cm x 3,6 / 1,6″ x 1,4″. 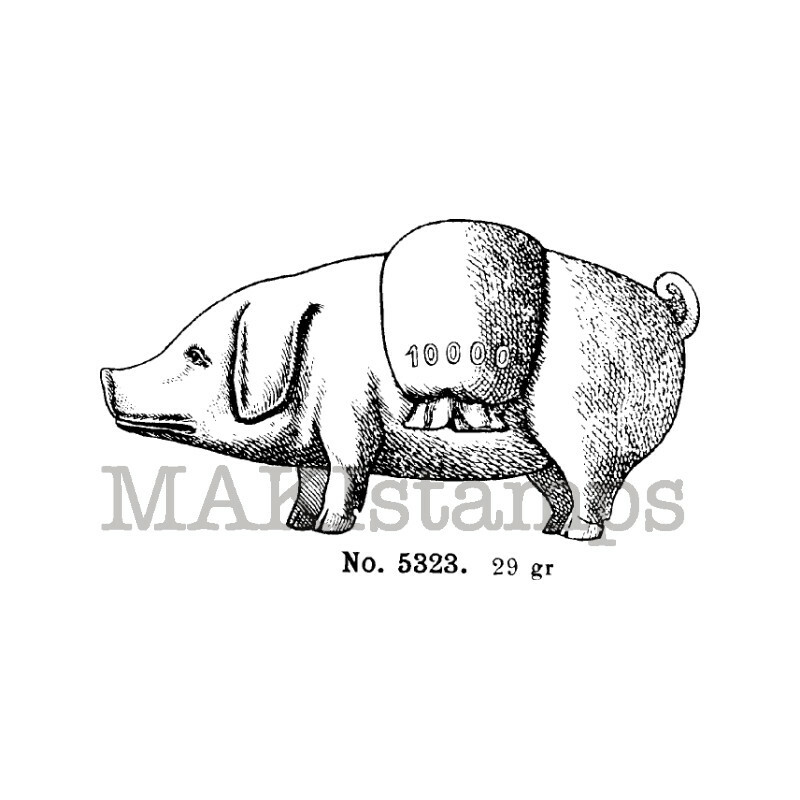 This rubber stamp is made of high quality, deeply etched red rubber and measures approx. 4,0 cm x 3,6 / 1,6″ x 1,4″. 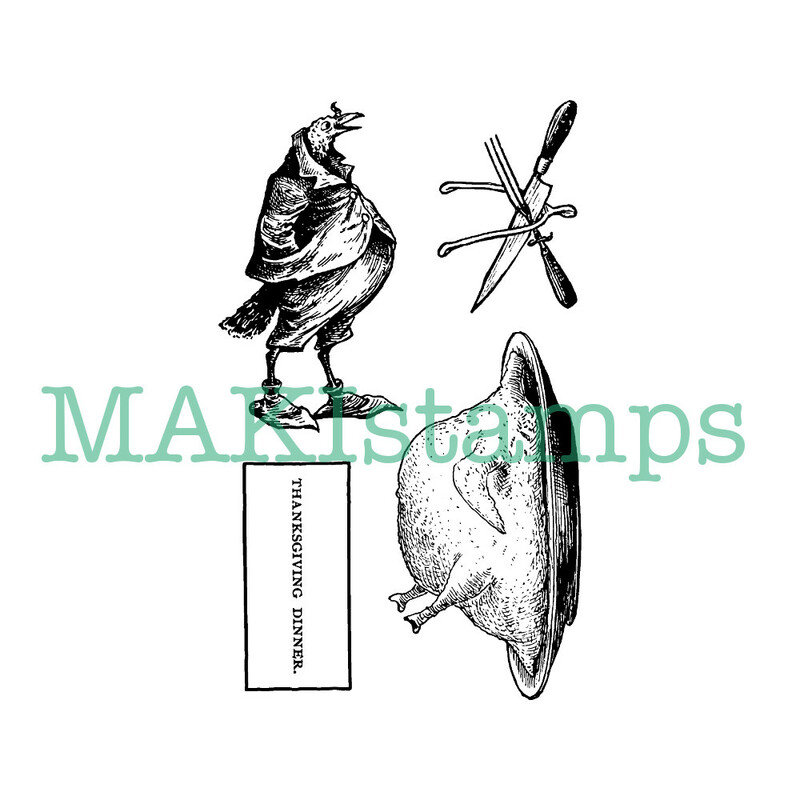 Please note that our basic style selection includes only the trimmed rubber die with no cushion or mount, which is an “ unmounted “ rubber stamp. You can also choose to have your stamp already “ EZ-mounted “ ( = cling stamp ) in the style selection above. 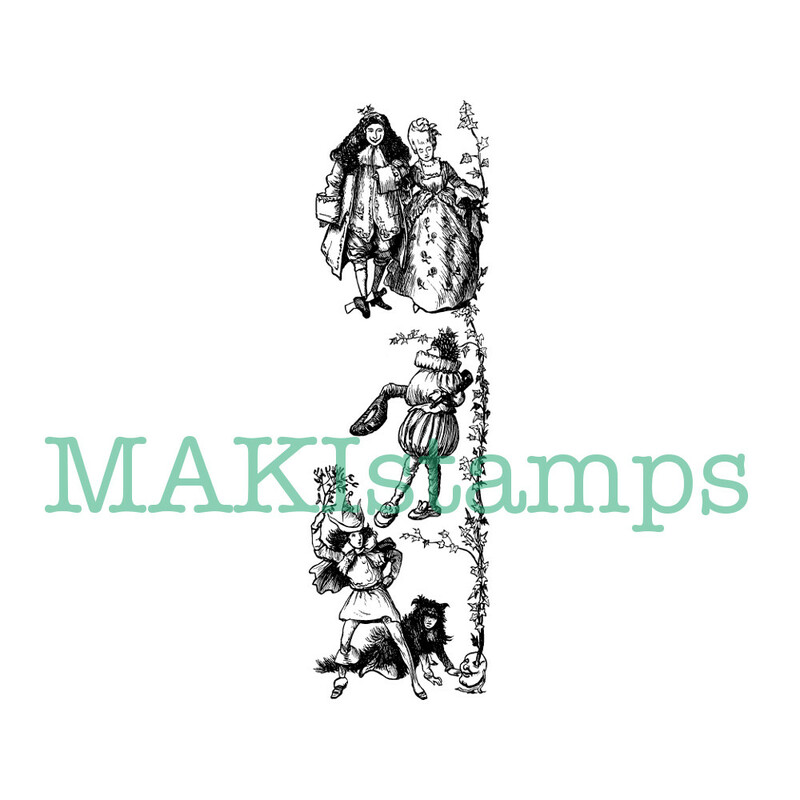 This will make the stamp „cling“ to an acrylic block (not included!). You will basically only need one acrylic block for all your stamps. Just take one off and „cling“ another one on. We are offering different sizes of acrylic blocks. Please check which sizes your selected stamps have and then select the size of the block after your biggest stamp.